The Princess Guide is a niche action role playing game where you take on hordes of baddies and train a princess up to be a powerful ruler. It takes some more traditional mechanics from the RPG genre, and borrows some others from the beat em up category. The Princess Guide (somewhat) introduces a scold/praise mechanic to aid in your grooming. The Princess Guide dumps us into the game with a tutorial battle that also serves as the "last" battle for our protagonist, a great general. Such is this general's renown that bards have composed songs, books are written about, and children aspire to be him. While the last battle shows our general to still be capable, he is no longer in his prime, and he is relieved of duty so that he may retire with his life. Of course, being an old soldier that knows nothing else but battle, the decision is made to become a military counsel to up and coming rulers. There are four princesses warring over the land, and you will get the opportunity to train all of them in the finer arts of battle. 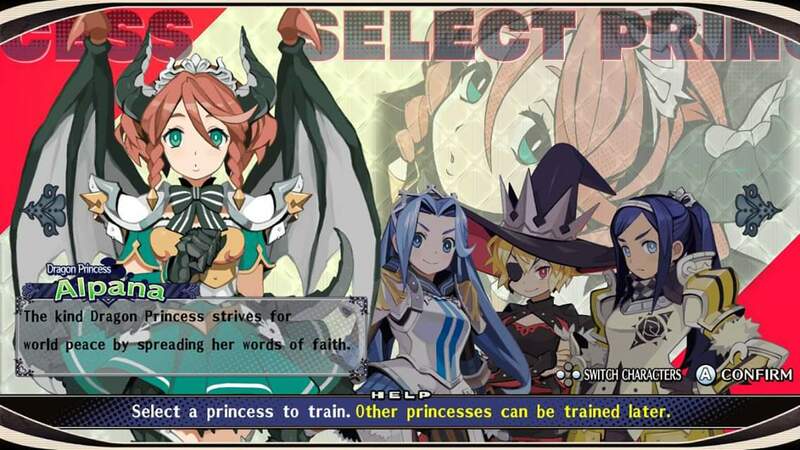 Each princess has their own play style and story line, including an "evil sorceress" option that has you kidnapped and brought to her to solicit your tutelage. The meat of the game, unfortunately, is in combat. 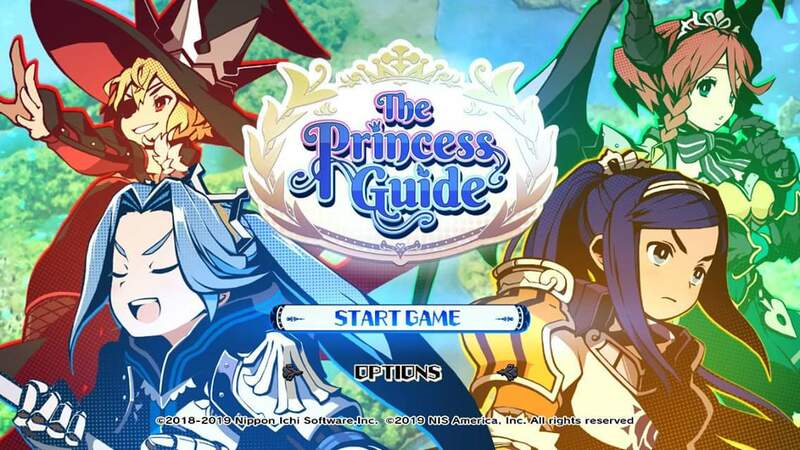 The Princess Guide is a bit too ambitious, and while it offers a lot of opportunities to micro manage different aspects of the game, but doesn't execute on any of those particularly well. While the different story lines are very interesting, and the characters are entertaining, the importance of the combat in the game becomes underwhelming very quickly. 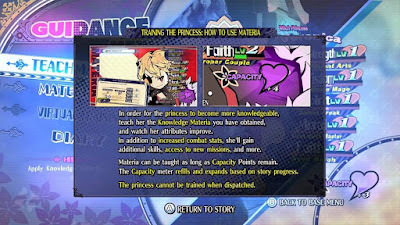 The game is broken up into a few different chapters for each individual princess, and after viewing a narrative cutscene, you are given a map with various locations to assign your units to explore or defend. At the same time, you will have enemy units wandering around this map, and whenever they arrive at a location you are assigned to, a battle takes place. Within each battle is a mini map of various size and with a random amount of enemies with different spawn rates. Sometimes your goal is to just defeat all of the enemies, and other times you must defend a fortification from those enemies. Within those battle maps are relics that have a few different effects on the battlefield. There is a healing shrine, and various trap shrines. Trap shrines fire automatically before you capture them, and affect you instead of the enemies. Hold A to capture the shrine, and you can then control it for a limited time. The healing shrine creates a perimeter of healing energy for a short burst of time, and you and your soldiers need to be within the circle to enjoy its benefits. Once you've used the healing shrine, you cannot reactivate it. The other shrines have a limited number of uses, and it seems as though there is also a time limit that you have to activate them to begin with. Sometimes the battle maps are single screen, other times they are a short maze that is blocked off into sections that are made accessible as you finish each battle for that section (much like a beat em up). 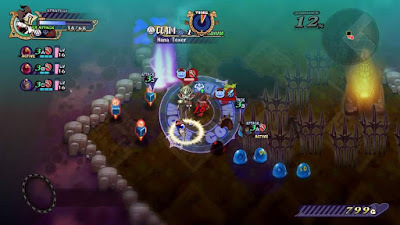 While we have seen the beat em up/RPG mash up in many other games, the Princess Guide shifts it from the more traditional side scrolling perspective to the top down view we are more accustomed to seeing in more traditional overworld traversal in turn based RPGs, and to a small extent reminds me of the combat in the Tales series. Unfortunately for The Princess Guide, the combat feels a bit more like the beat em up side of the formula, and it's absence of the ability to use items in battle really hurt the experience. While making the game more unnecessarily difficult in the beginning, it's really just a huge annoyance that underpins the entire game. Health shrines and HP drops from chests are far too rare, and so you will spend most of your time in fights running away from monsters to avoid damage, and taking unnecessary damage because the screen is so busy that you can't easily keep track of your enemies. You can find/enhance gear throughout the game, but you can't change gear mid battle. Instead, you have to actually successfully finish the mission that you found the gear in, and then remember to equip appropriately once out. In addition to our protagonist general and the Princess he happens to be training at the time, you can also hire more generals to bolster your forces. Each general has their own particular fighting abilities/styles, and each has a select group of troops that can be hired to accompany them. During combat, you only control your commander, and have a loose ability to control your squad. The squad has it's own HP, attacks, and formations to be executed. If they die during battle, you must withdraw from your location to revive them. It's also a good idea to withdraw your commander from a location once you have finished a mission there so that he can also regain any health not gained back from the battle. Otherwise, you could find yourself in a situation where a new battle starts, and your commander only has half of their starting HP, which leads to mission failure fairly quickly. I encountered a bug on two separate occasions in which I had completed a mission, but then the screen told me that I failed and I had to do it over again. It was quite frustrating, and I hope that it gets worked out soon. I haven't really mentioned much beyond the story and combat, and for good reason. While you can enhance your weapons, the materials and money to do so come infrequently, and it just isn't worth the grind to do it. Your special abilities in battle are tied to your weapon, and as such, it is usually best to consider the ability on the weapon over the stats on the weapon. I inevitably defaulted to a weapon with a healing ability when possible, because that was universally useful. I mentioned earlier that health was in short supply, and every so often you happen to get a general or piece of equipment with a health restoration spell, and it is actually more useful than an extra powerful attack in most cases. This is also where having the ability to scold or praise the princess comes in handy...for the princess alone. If you praise her during battle, and she has low HP, it will heal her up. 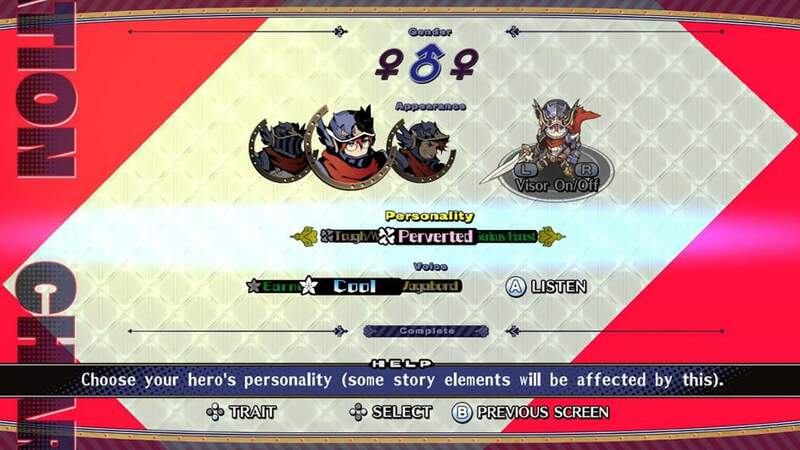 Scolding her will increase her attack power during combat. 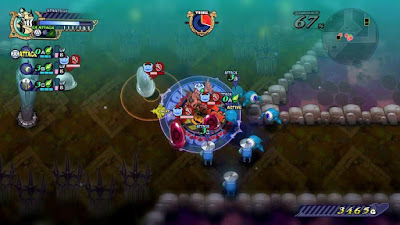 There are also various formations that you can utilize to overcome the lack of items. 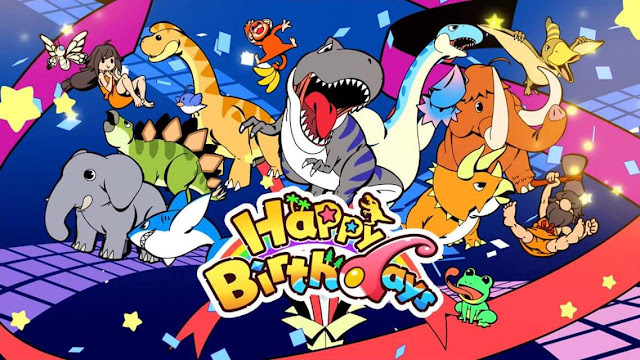 Sometimes the formations just buff your party, but they'll also cure status ailments and restore some health...once you've earned enough points to use them by defeating enough enemies. The problem with the formations is that they need to be done real time in battle, and require you holding down the L shoulder button, and then scrolling to the appropriate formation for the desired effect and pressing the button to activate them twice. This can be very damaging when you are relying on the formation that restores HP to stay in the game. You spend a lot of your time in the game running from enemies while you try to harvest treasure or restore health, and sometimes the enemies can become overwhelming at this point, which makes it harder to track the action on screen as you try to clear the board. 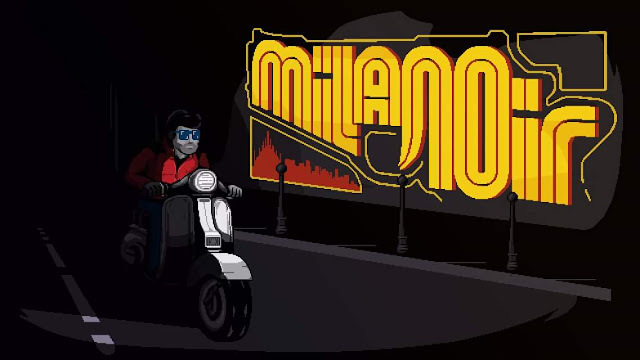 As every other element of the game seems to have not been fully executed, giving it a very tacked on feeling, you are really just trying to get through battles to advance the plot and make it to the next story point. You can also praise or scold your princess in certain circumstances during the story scenes, and these play out a little differently, but I couldn't really tell how much this affected the actual outcome beyond the immediate response to my selection. Which leads us to the stark realization that we have too many bland encounters that all start feeling the same after the third or fourth chapter, and those same battles make up much more of the game then it feels they should. 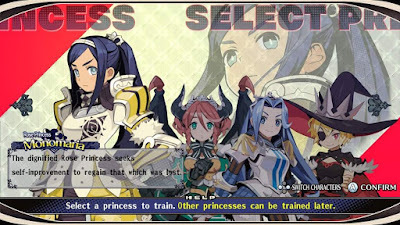 Since the game is supposedly built on the idea that you need to counsel and train a Princess to be a powerful ruler, I think the game should have had more of an emphasis on visual novel or relationship sim mechanics. Give me more chances to interact with the princesses and other NPCs around her. Give me some political intrigue where maybe I am on a stealth mission, trying to avoid detection...or maybe have scenarios where I am guarding a diplomatic mission and must have a tactful argument with the adversarial parties. The Princess Guide has a pretty enjoyable premise, story, and some characters that are intriguing or humorous. None of the princesses really go through much of a development arc, and their one sided quest is all of the narrative, so their presence is just a means of explaining their goals as you help them to achieve that end. Unfortunately, the premise and scolding/praise mechanic are not put to very good use in a world where everything else is mortar holding together poorly constructed bricks of repetitive combat. As such, The Princess Guide takes a great base and then fails to execute upon it in a satisfying manner. It's always nice to see someone get a new idea and make a game with it, but it is disappointing to see it not fleshed out quite well enough. Even with that, I'd love to see the game get a future iteration that has expanded on the framework, but with fixed combat, items usable in battle, more character interaction, and more gameplay segments that aren't just more combat. It seems as though the devs were aiming for pleasing the micromanagers out there, but didn't think through the mechanics fully enough, or forgot to include the proper tools. I'd avoid this entry, but if it spawns a sequel, it will be interesting to see how things develop.